No auction at Kestenbaum and Company would ever be complete without some art. KAUFFMAN, ISIDOR. Complete set of Sixteen large plates, reproducing the artist’s work. Introductory German text by Rabbi Dr. H. P. Chajes. Each plate individually matted. 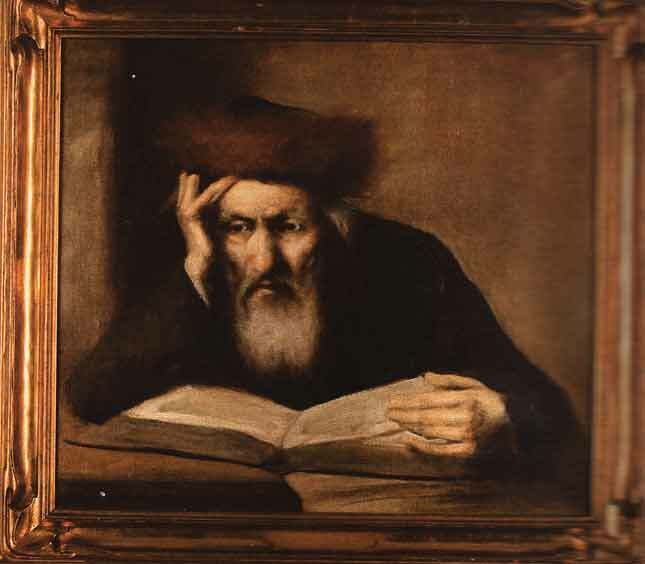 (RABBINIC PORTRAIT). Contemplation. Oil on canvas. signed upper right (undecipherable) Framed 16 x 17 inches. LARGE DUTCH BRASS CHANUKAH LAMP. 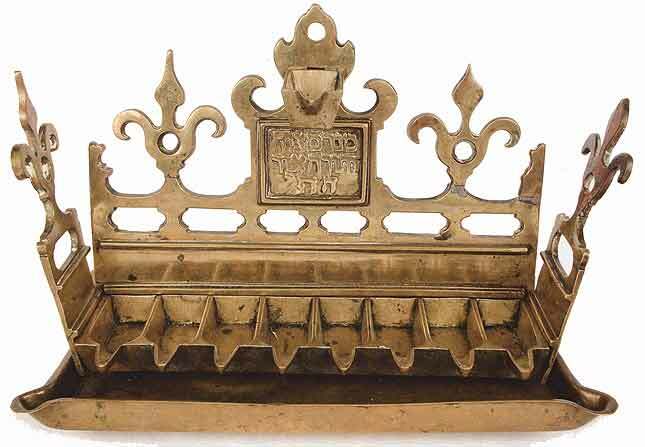 Prominent drip-pan encloses cast openwork lamp, the upper-section with for elongated freurs-de-lis, large servant light attached at center over central rectangular plaque with inscription: “For the Commandment is a Lamp, the Teaching is a Light (Proverbs VI:23) 9.5 x 12 inches. 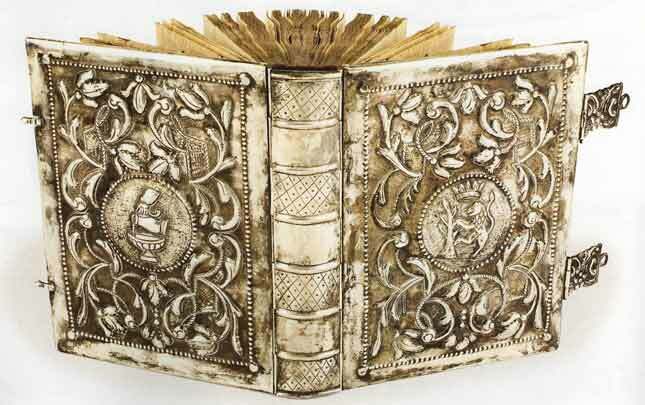 SILVER BOUND PRAYER BOOK. Hebrew Festival Prayer-book. Printed in Venice by Stamperia Bragadina in 1750. Embossed overall with Baroque Style decoration, including swirls and foliage. Upper coverwith central vignette of the sign of the Levite; rear cover of rampant lion aside tree with crown above. Pair of clasps and hinges. Height: 7.5 inches. Kassel 1770. Jewish art, whether a painting, whether ceremonial is a document of a time, past or present, that either passed or is fast passing through. It is a silent witness to what was, what is and… what could still be.